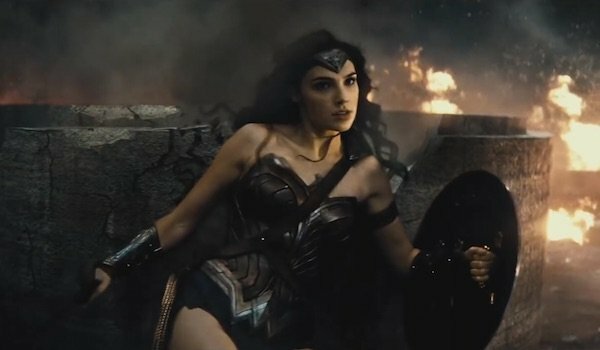 While Batman v Superman: Dawn of Justice and Suicide Squad are clearly taking place in the present day, the setting of 2017’s Wonder Woman has been called into question for a while now. It was first rumored last year that the Amazon warrior’s solo movie would take place in the 1920s, but the last several months have seen reports saying that part of the movie will be set 10 years earlier in World War I. Following a photo of Chris Pine in period clothing being posted on social media a few weeks ago, new photos have surfaced online confirming part of the movie will indeed take place in the early 20th century. Said photos show Pine, Gal Gadot and numerous extras dressed in World War I-era attire while shooting near Southend, Essex, England this past Sunday. You can head over to Daily Mail to check out their pictures, but now we know that Diana of Themyscira will be active in the outside world while Europe is fighting the Great War. While the photos didn’t reveal much plot-wise, they do give us a better idea of what to expect going off what we’ve learned in the previous reports. Here’s what you need to know about this setting and why it’s important. According to the second report concerning the World War I setting, part of the movie will be set in 1916. The massive conflict has been going on for two years at this point, and it’s only another year before the United States officially joins the Allied Powers. This means Wonder Woman is taking a similar approach to the 1970s Wonder Woman TV series’ first season, which was based in World War II. All the set photos confirm so far is that Diana will be having some kind of interaction with Pine’s Steve Trevor during wartime, but the Star Trek star may not be the same Trevor he’s signed on to play in multiple movies. After costar Saïd Taghmaoui posted that photo of Pine in period clothing, it was reported that Pine will also be playing Trevor’s grandfather, also named Steve Trevor. It’s this Trevor, presumably a pilot, who will crash-land on Themyscira, and after meeting Diana, he’ll help her defeat the main antagonist Ares. Flash-forward approximately 100 years, and Trevor’s grandson (the one who will presumably appear in sequels) will assist her in taking down the Greek god of war again. So the Trevor family’s history will be established while the world deals with its first World War, though whether they’ll fight Ares on the battlefield or in a more urban setting remains to be seen. 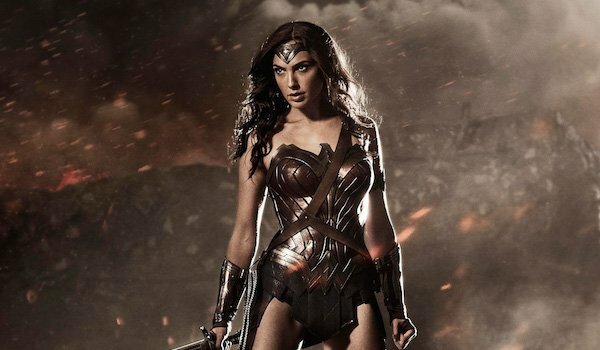 Why is this important to the development of Wonder Woman in the up-and-coming DC Cinematic Universe? Read on, and find out. Excluding flashbacks, superhero movies tend to take place in the same time period they’re made in. The most recent superhero period piece that came out was Captain America: The First Avenger in 2011, which followed the Star Spangled Avenger’s origins in World War II. Like that movie did for the MCU, these World War I scenes in Wonder Woman allow the DCEU to explore its history and show that "super" events were happening long before the 21st century. Historical moments are extremely important when it comes "world building," especially concerning these cinematic universes. Having some of the movie take place in World War I also adds more layers to Diana as a mythological figure. As far as we know, she is the oldest superhero on Earth, and in case Batman v Superman: Dawn of Justice doesn’t have time to tease her long lifespan, her solo movie will show audiences that she was around before our grandparents were born, and probably long before that, too. Who knows, if general audiences take to Wonder Woman’s period scenes, maybe this will lead the DCEU including more big moments set in the distant past during their movies. I, for one, would like to see what Black Adam’s life in ancient Kahndaq was like in 2019’s Shazam. How about you?